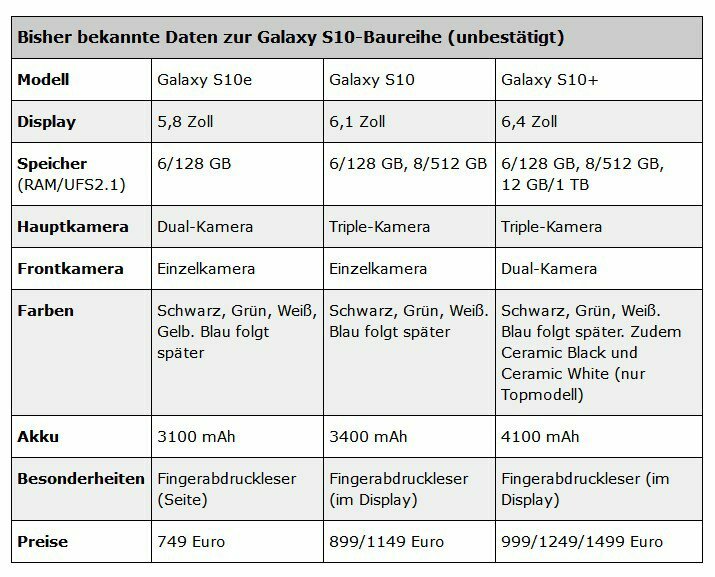 Yesterday evening Samsung S10 series mobile phone ushered in a heavy blow, foreign media WinFuture released a set of Samsung S10 and S10+ official renderings. According to reports, the Samsung S10 will be equipped with a 6.1-inch display, the S10+ will be equipped with a 6.4-inch display, and the upper and lower frames will be further narrowed. The S10 E mobile phone of the Samsung S10 series, which is the cheapest in the early morning, also ushered in the news. As shown in the figure, compared to the S10 and S10 + two mobile phones, the S10 E has no surface screen. The previous S8 series and S9 series all The system is equipped with a curved screen. The curved screen has become an important feature of Samsung’s flagship mobile phone. As early as the S7 era, the S7 regular version is not equipped with a curved screen. Does this mean that the price of the S10 E will be further lowered? ? Samsung S10 E front 5.8-inch Infinity-O straight full screen, rear dual camera, modeling and Note8 closer. It is worth noting that there is a volume button on the left side of the S10 E and a dedicated Bixby button. The SIM tray and SD card slot may appear on the top with the microphone, while the bottom is the USB Type-C port and speakers. The entry flagship also includes a acclaimed 3.5mm headphone jack, and in fact the 3.5mm headphone jack has begun to disappear from other smartphones. In the rear dual shot, one of them is a 12-megapixel variable-aperture camera, and the other is replaced by a telephoto to a wide-angle. In terms of configuration, the Galaxy S10 E is equipped with the Snapdragon 855 and Samsung’s own Exynos 9820 depending on the regional version. Last year, iPhone and Huawei have launched the three-machine flagship strategy, and consumers have more choices. Therefore, Samsung’s launch of three S10 phones is not unexpected. From the perspective of positioning, S10 E is close to iPhone XR, but it should be noted that The price of the S10 E may be much lower than the iPhone XR. According to media reports, the retail price of the Galaxy S10E may be $699 (about RMB 4,700), still lower than the 64GB and 128GB iPhone XR versions, which are priced at $749 and $799 respectively in the United States. The Galaxy S10E is expected to be officially released on February 20th with the Galaxy S10 and Galaxy S10+. The pre-sale time may be March 8.